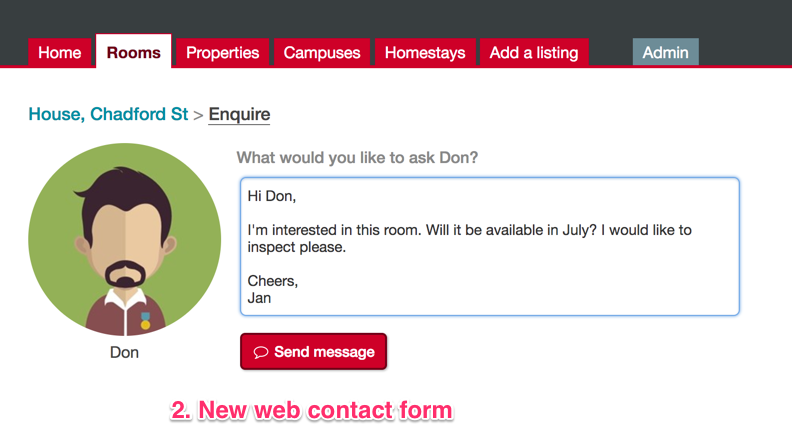 We help universities manage off-campus accommodation for their students. See our website at studystays.com for more info. 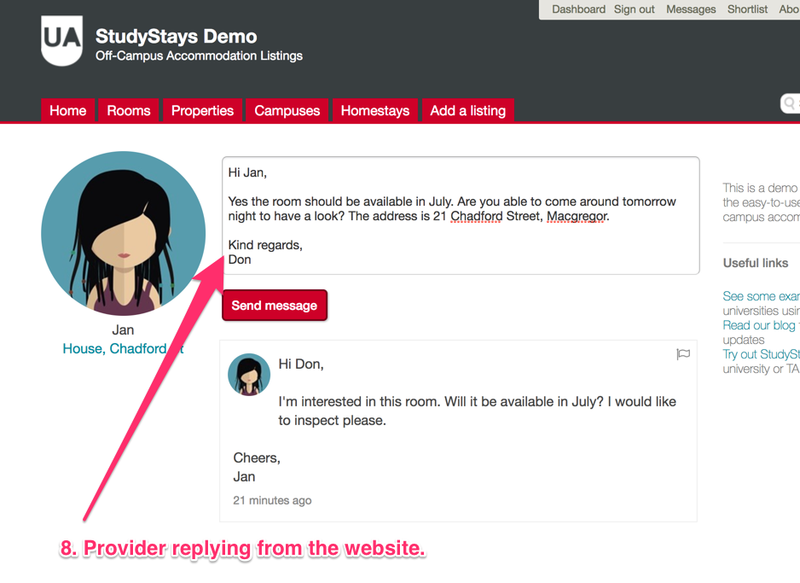 The new Messages feature for StudyStays introduces a new way for students and providers to communicate. 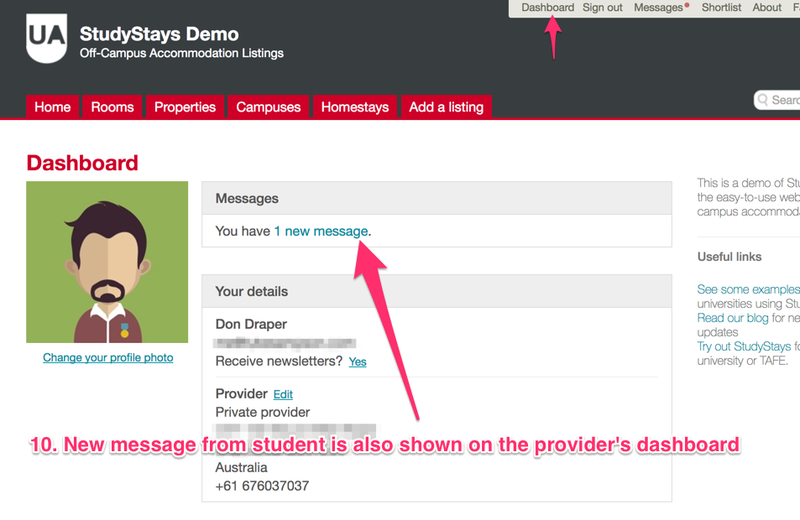 Using the Messages add-on, the conversation between students and providers can be handled through your web site, rather than just showing contact info and leaving it up to your users from there. This gives your users more privacy and security. It also gives administrators increased control and accountability measures to prevent and investigate scams and any other abuse that may occur. 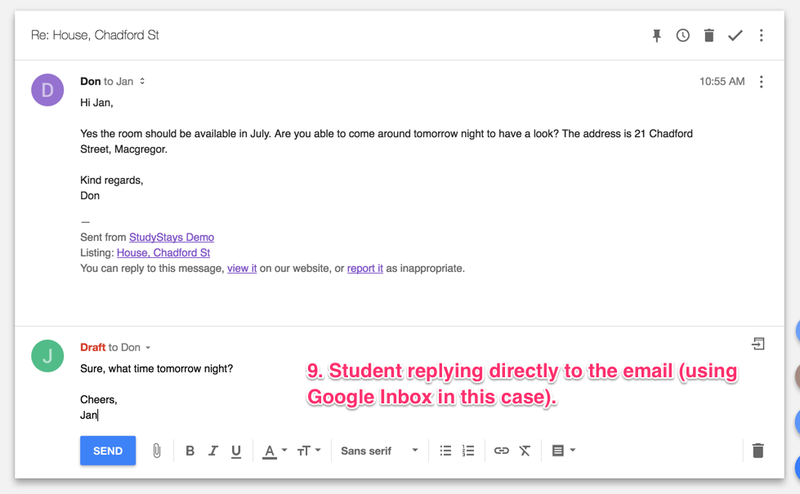 As you will see below, messages work hand-in-hand with normal email. 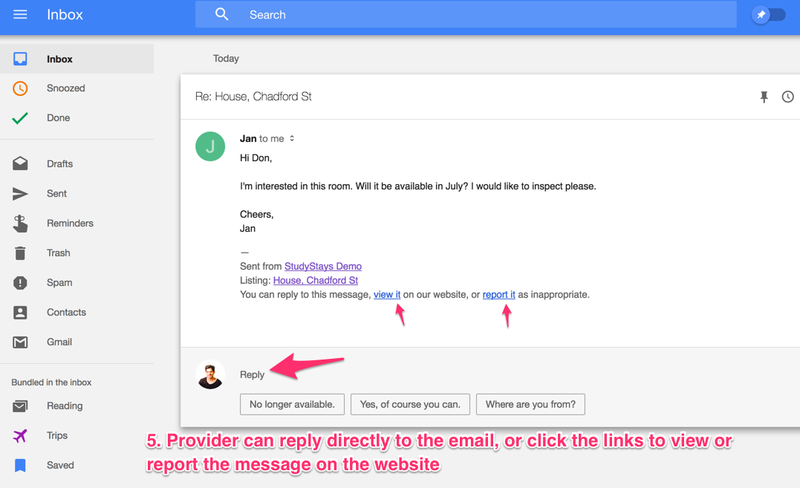 So users can reply directly from their email program, or from your website, or both. 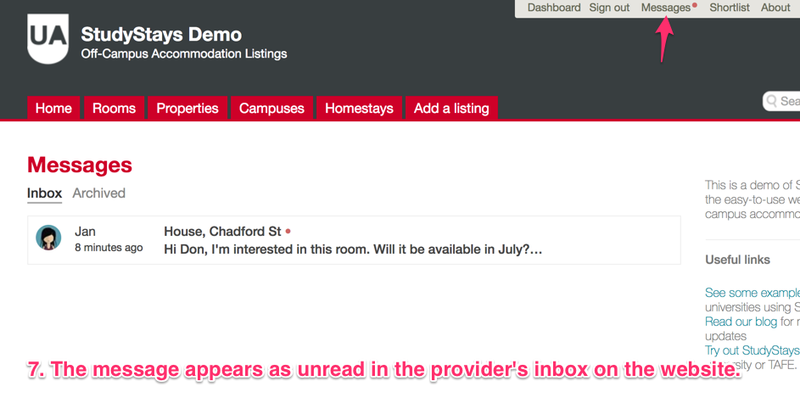 Until now, registered students have been able to see providers' contact information on listings when they are signed in. Even with security measures like email verification and approvals, there have been times when scammers have passed these checkpoints and gone on to try to scam providers. When this happens, it is difficult to try to work out who the scammer is, since there is no requirement for them to use the same email address that they used to register for the site. Most of these scam attempts appear to be detected by providers before any money changes hands. But it's still an annoyance for providers, and the only solution until now has been to try to educate them on the dangers of online scams. 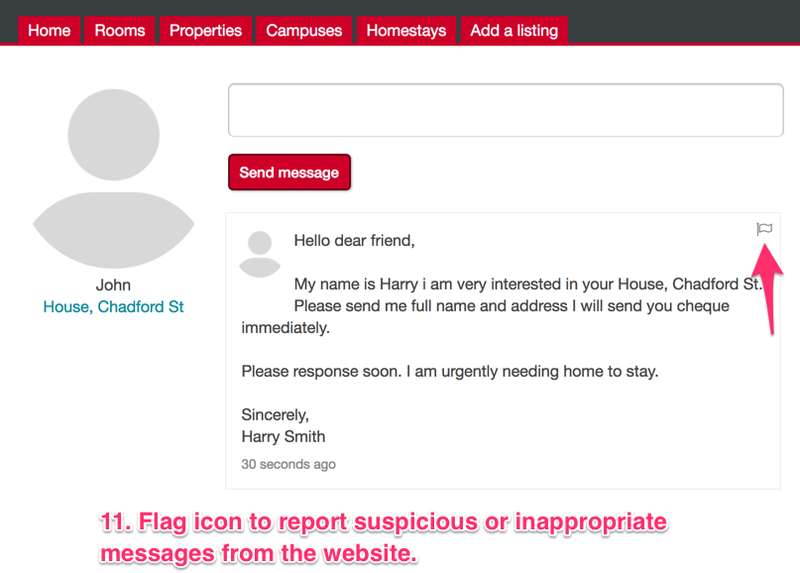 With the Messages add-on, there is no way for scammers to email providers directly. 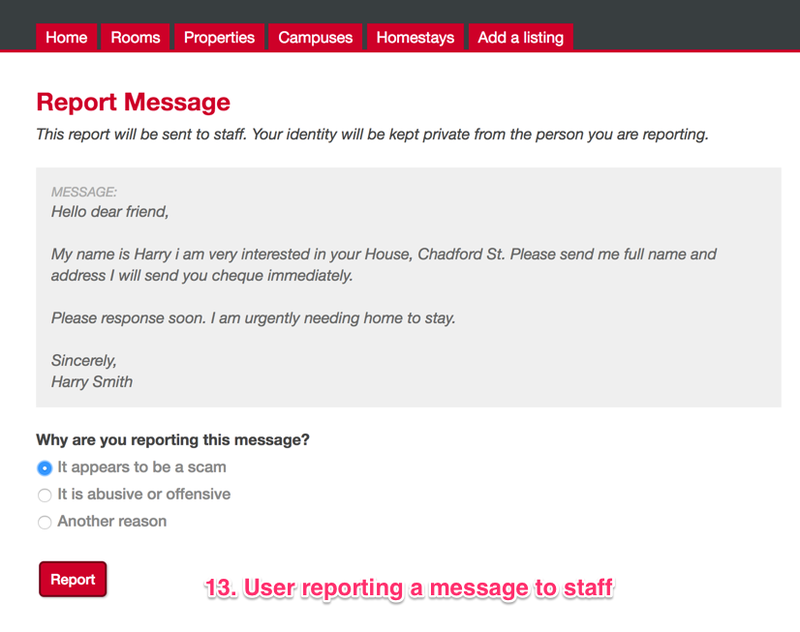 All messages must be sent through your website, unless providers choose to reveal their email address explicitly to a student. This means when a scam attempt occurs, you can identify who it was, see the message they sent, and block them from using your website again. 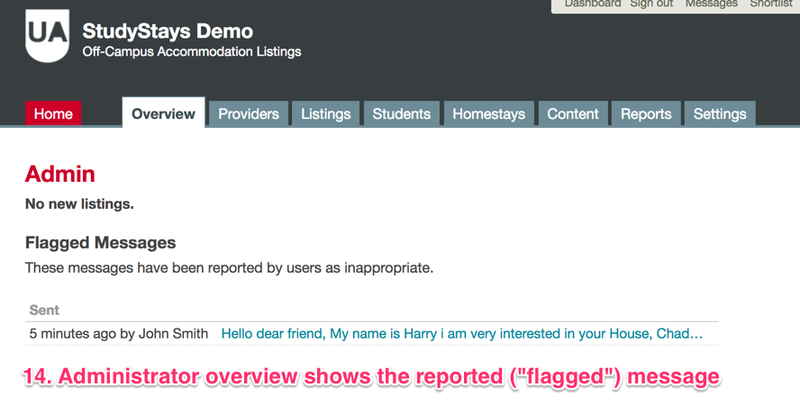 With built-in features for reporting suspicious messages as you can see below, it's quicker and easier for your users to notify you of abuse. 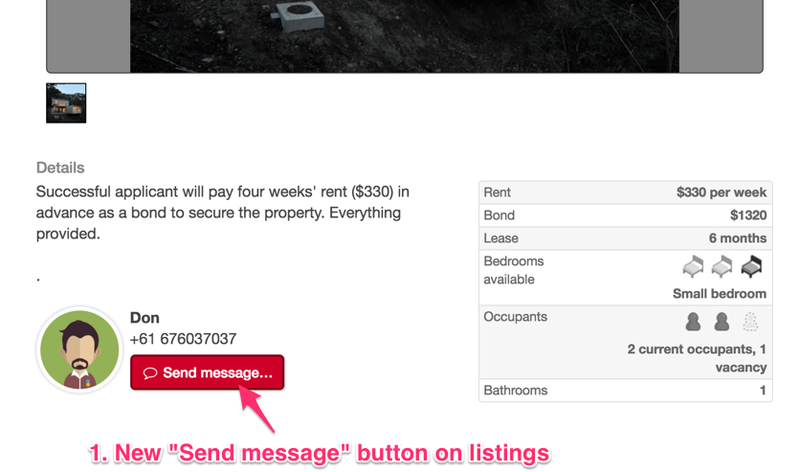 Here are some screenshots showing how Messages work. Messages are ready to use now, for an additional annual fee of $400. This fee helps cover the cost of the significant technical requirements of routing emails through your website reliably and securely. If you're interested in using Messages, please email Support and we can set you up as soon as you like. For the first 5 universities that sign up for Messages, we'll waive the annual fee until your next invoice.